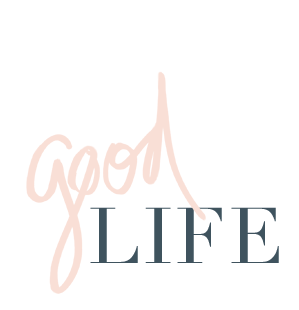 jillgg's good life (for less) | a west michigan style blog: Valentine's Gift Guide! Valentine's Day is just a week away! This is always a favorite holiday of mine... it's so silly and sweet and a fun day to spoil the ones you love with candy, cards and other little treats. For me it's always been a low-expectation holiday which I think always makes it more special. Plus I am a sucker for red and pink, hearts and candy and flowers ANY day of the week... so a whole holiday to celebrate those things!?!? I'm in. 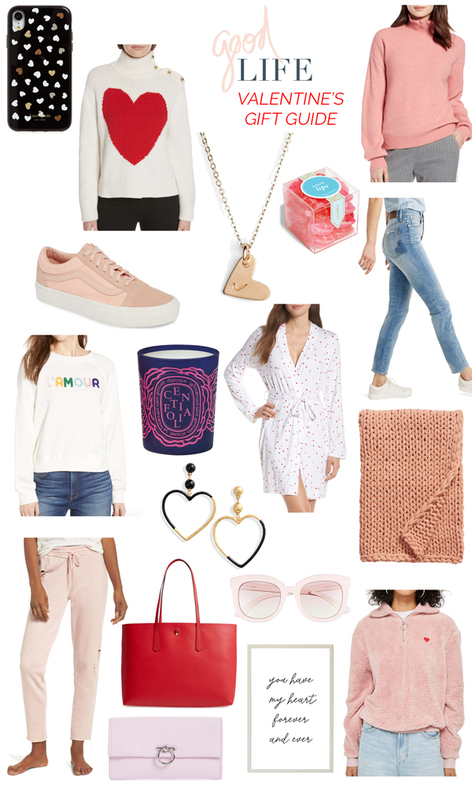 Today I pulled together a fun little Valentine's gift guide for you ladies. Whether you are making a little mid-winter splurge on yourself or need a few ideas to send along to your husband... this gift guide is all about pink, red, hearts and love! There are so many fun pieces here that would make for affordable gifts like this heart necklace, heart earrings, my favorite candy or a fun heart iPhone case. If you are feeling splurge-y this heart sweater, this limited edition rose candle, this red tote or this pale purple clutch are gorgeous. For the homebody (like me!) a cozy pair of sweatpants, this l'amour sweatshirt, a chunky knit throw blanket or this pink heart fleece are all great options. If you need a fun little Valentine's outfit this pink ruffle neck sweater and heart patch jeans would be an adorable combo. For the romantics in the bunch this heart robe or "you have my heart..." art print are great options!